At the 10th annual East Coast Game Conference (ECGC) held April 17-19 at the Raleigh Convention Center, NC State was well represented along the exposition floor. ECGC is the largest gathering of video game professionals on the east coast and provides a platform for networking and collaboration among developers. DELTA and the Department of Computer Science facilitated a space to showcase a variety of innovative and cutting-edge projects from across the university. College of Sciences, College of Natural Resources, Global Training Initiative, College of Engineering, College of Design and NCSU Libraries were all represented at ECGC within one exhibit. 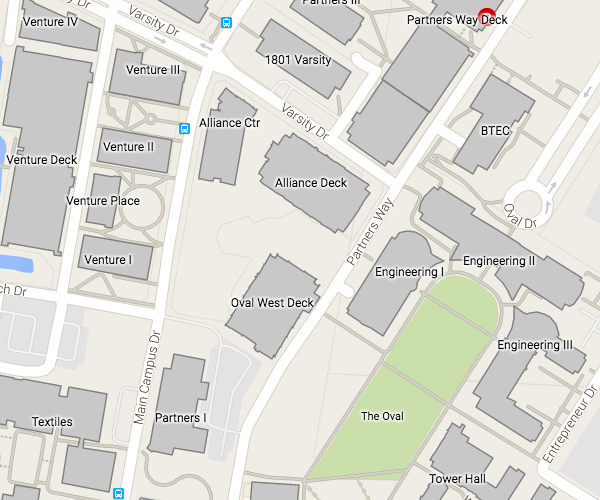 Approximately 20 students from the Department of Computer Science, led by Arnav Jhala, ran six game stations showcasing their work in game design and development. In partnership with the Global Training Initiative, participants were able to experience the cultural competency training module First Impressions while getting a sneak peek at the not yet released Lenovo Mirage™ Solo, a stand-alone virtual reality (VR) headset. 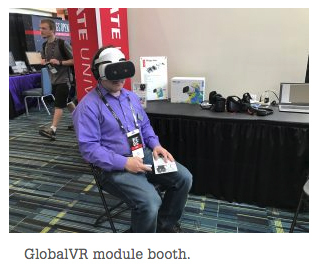 “As the VR/AR industry continues to evolve, NC State remains very active in designing, evaluating, prototyping and piloting immersive media products in support of Online and Distance Education. We see the advancement in high-quality, low-cost mobile headsets as a key for distribution,” said Creative Director Mike Cuales. The organic chemistry VR lab experience created with Maria Gallardo-Williams through a DELTA Exploratory grant was on display for the first time for the public to view. The first-person point-of-view VR experience immerses students in the lab as if they were there in person. The VR experience for Sport and Entertainment Venue Management Graduate Certificate was also on display for attendees to experience an interactive virtual tour of Raleigh’s PNC Arena giving both working professionals and students an exclusive look inside the many careers that exist within a major entertainment facility. From the College of Design, Assistant Professor Derek Ham showcased his “I Am A Man” VR experience. Set in the 1960s, users experience the historic events of the Civil Rights movement using the Oculus Rift VR headset. This incredible application of using VR to re-envision historic events was recently announced the winner of the Cleveland International Film Festival Perspectives Award for Immersive Storytelling. In addition, students from the Video Game Development Club had a booth displaying some of the computer games they had designed and developed. The student-led club provides practical game development experience with powerful tools and support from senior members and industry veterans. 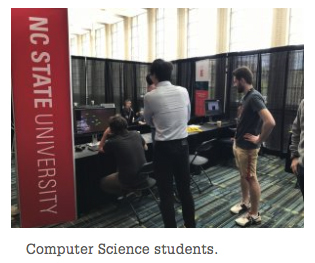 Among the many other higher education institutions and industry companies, NC State proved to be a competitive force in the world of VR and emerging technologies. This post was originally published in DELTA News.